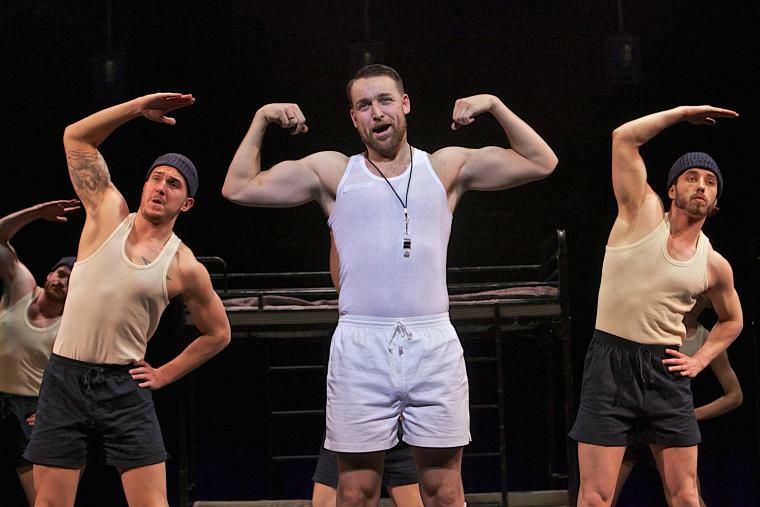 This all-male production sets the action in the hull of a ship during the Second World War. It’s Gilbert and Sullivan do South Pacific – in a way. With only three sets of bunk beds and a length of rope for scenery and with judicious use of lighting (designed by Tim Deiling) the company of sailors perform the operetta in an evening that is never short of charming. Accompanied by musical director Richard Bates on piano, the men are in excellent voice, with some beautiful harmonies and, most impressively, their singing of the female roles doesn’t descend into squawks and screeches. In fact, as romantic lead Josephine, Alan Richardson displays a fine soprano, like an operatic Jimmy Somerville. He imbues the role with dignity as well as femininity, wringing drama from the lines by means of understatement. You get some idea how the Elizabethan boy actors might have got on with Shakespeare’s heroines. Alex Weatherhill’s Buttercup is endearing and funny. The entire company camp and butch it up accordingly. There’s a balletic sailors’ hornpipe and Lizzi Gee’s marvellous choreography also has elements of semaphore, I find. There are shades of Derek Jarman’s The Tempest as they all scurry around but above all I was reminded how Gilbert and Sullivan are the forerunners of the silly songs of Monty Python. Eric Idle owes them a lot. A thoroughly entertaining evening that treats the original material with affection and respect, proving that with a director as inventive as Sasha Regan you don’t need to perform G&S on the grand scale for it to work as richly and as effectively as it does here.